Available Periodically throughout the year. LIABILITY WAIVER REQUIRED to attend. See below for how to return it. 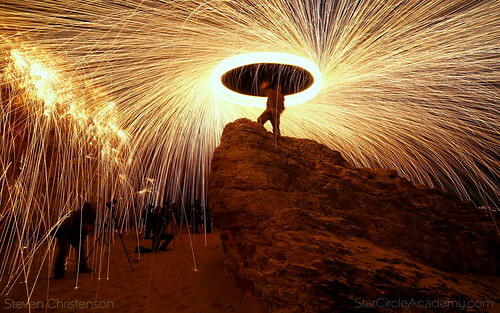 Light painting is cool. Painting with fire is even more so. During this outing we will be doing both with a heavy leaning towards things that burn. 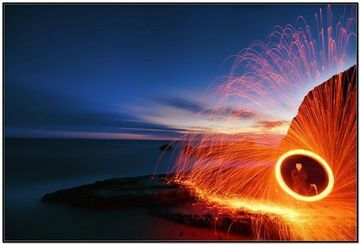 Part one: The class will start with a talk on the basics of light painting. We’ll cover the tools and methods you’ll need. Where the tools are custom-built, we’ll show you how to make your own, and how to blend these tools with props to get the perfect image. We will talk about the ideal camera settings to have, what happens when you change the settings in your camera, and what not to do. Part two: We will show a few example photos and discuss how to replicate those as an instructor lead tutorial. Optional Part Three: Time for you to let your imagination run wild. If any member of the group has a specific photo they would like to replicate then this is moment we’ll all give it our best shot. 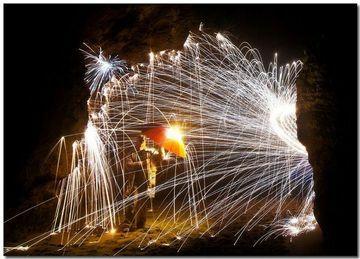 This field outing is for anyone that is interested in lighting painting, new to fire painting or wants to learn more about the art of light painting or wants to learn more about their camera and exposing at night. 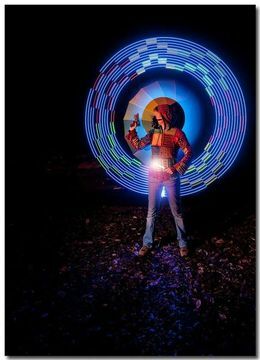 If you have a favorite light painting photo bring it we will try to recreate it. We will provide all the fire you need. We will reschedule in the event of rain. We’ll press on if it is foggy. This event also might be canceled if we do not meet the minimum number of attendees, which is 6. Guests are charged the same rate as attendees and must sign a waiver of liability as well. Bringing an undeclared guest will be charged as a regular attendee. To join the event, please download the Liability Waiver from here, fill it out (a witness is required), scan it and return it as instructed on the last page. If you don’t have a scanner please bring a completed copy with you to the event. Good one on fleece as a no-no: I can confirm from experience.